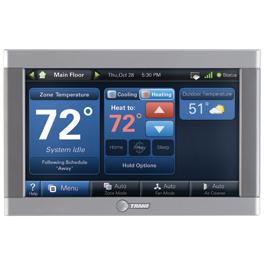 The Trane ComfortLink™ II control is an advanced command center that puts your comfort literally at your fingertips. It’s the product that Popular Mechanics dubbed one of "The Year’s Most Transformative Products," awarding it their 2010 Breakthrough Award. 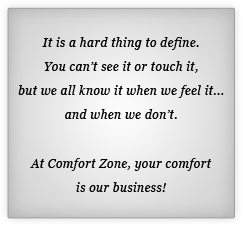 Connect your ComfortLink™ II control to a matched Trane system for complete, seamless comfort. Every component is designed to work in harmony with the others, optimizing your energy use over time. Not only does the ComfortLink™ II monitor indoor and outdoor temperatures, so you can adjust your system to be energy-efficient, but it also tells you when it’s time to change a filter or schedule routine maintenance.